Lausanne on a plate. 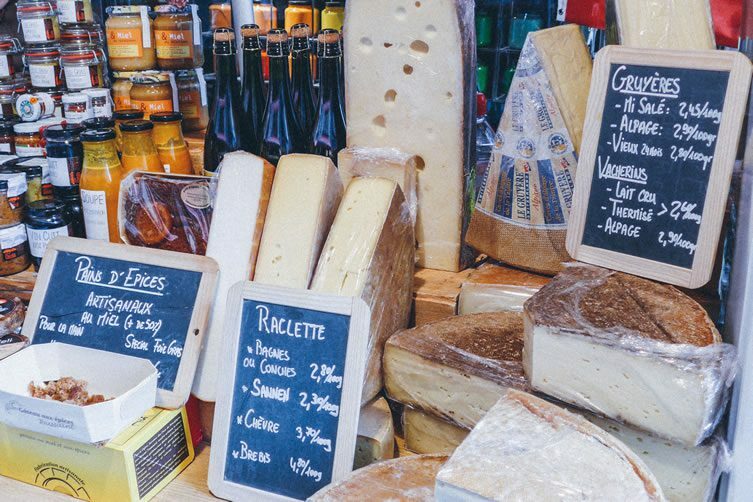 Our Lausanne food guide. The journey northbound along Lake Geneva has stupefying views of the Swiss countryside; the Alps in the distance a humbling site. I’m on my way to Lausanne — just forty minutes from cosmopolitan Geneva by train. 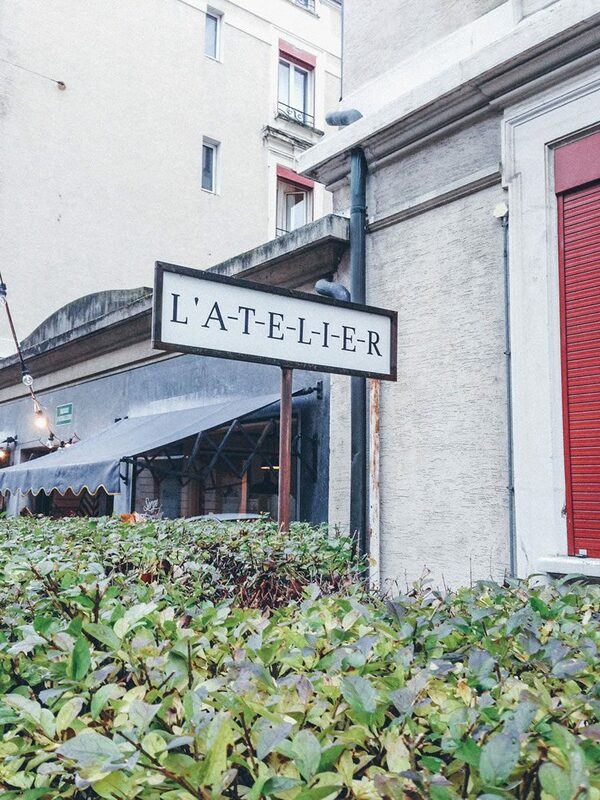 Please forgive my ignorance, though, for Lausanne hadn’t registered on my radar until now; I’d never given it much thought as a city break destination, let alone a culinary pilgrimage. In just twenty-four hours I’d discover a city with gastronomic soul; individuality; an intrinsic desire to eat well. Blessed with just the right mix of tradition and modernity, that blend happily transcends through its culture, architecture and way of life. 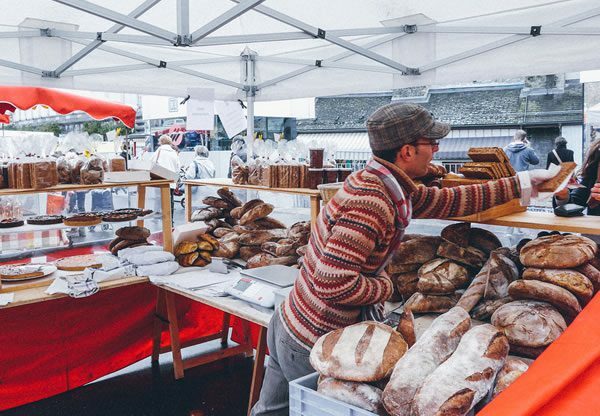 A good starting point on any food-inspired journey is the local food market; every Lausannoise worth their salt heads to Place de la Riponne, and the pedestrian streets just off it, on Wednesdays and Saturdays to pick up locally made, in-season pleasures. 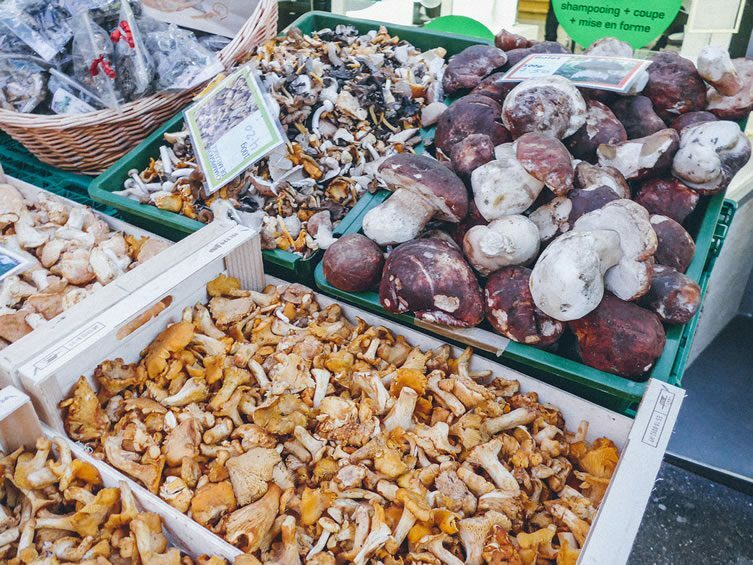 In November, the vegetable selection is plentiful and abundant … micro salads, squashes, wild mushrooms. Local honey, ales and juices were also available, as are selections of charcuterie and numerous varieties of just-baked bread. 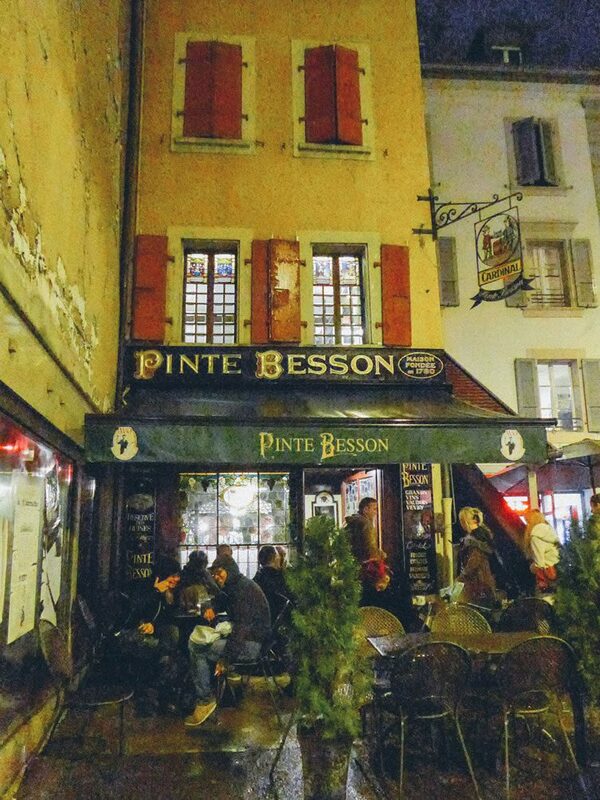 If you don’t eat your way through the market, then lunch at Brasserie de Montbenon is a must. 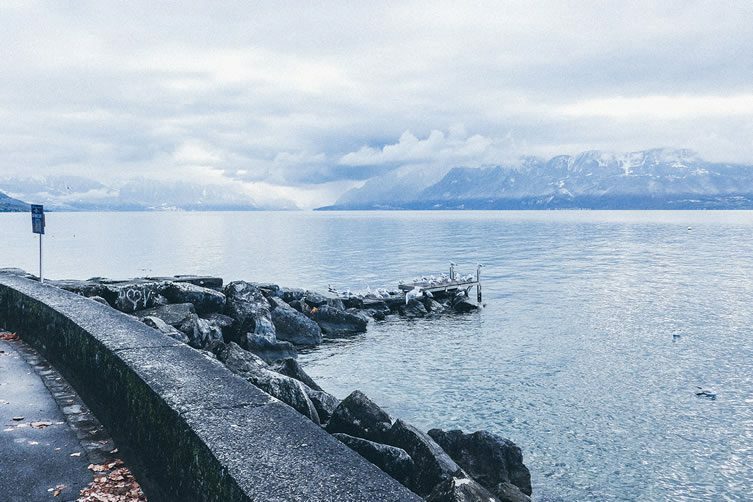 Located in The Flon district, where the mix of the city’s new and old is best represented, the brasserie is housed in an old ballroom, with a waft of grandeur and incredible views of the lake. The ceilings are high and embellished; windows large, the bar classic, yet the clientele and vibe nicely grounded — cool and stylish. The menu is timeless, with a lean towards locality. 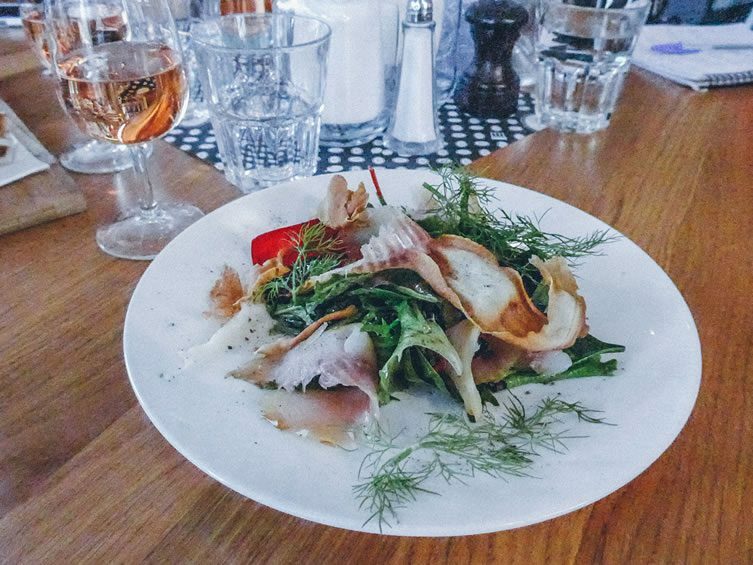 My salad of smoked féra — a fish caught in Lake Geneva (or Lake Léman, as it is known in French) — with fresh greens, dill and walnut oil dressing, looked incredible. It tasted even better. Coupled with the ambiance and views, it was with regret that lunch didn’t last all day long. Plats Chauds (hot plates) were also worth shouting about: the deer ravioli with wild mushrooms was heavenly. Immensely happy with my choice, I couldn’t keep my food envy at bay when the best chicken in town arrived; cordon bleu de poulet fermier, jambon de campagne et fromage d’aplage de L’Etivaz. Not just a mouthful by name; deep-fried top-notch chicken, stuffed with local ham and AOC status alpine cheese from Etivaz. A ‘man-size’ portion of divine poultry … textures, flavours … food envy personified. It’s no secret that the Swiss are like to make chocolate. And are good at it. 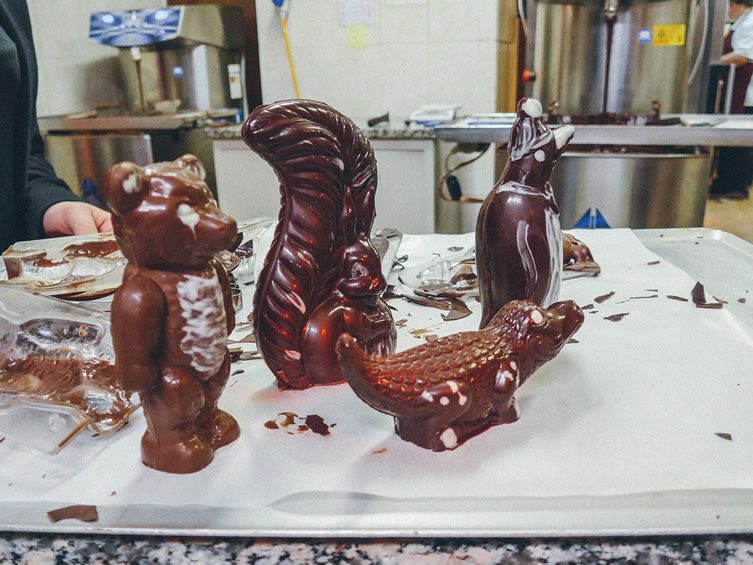 Ergo, a chocolate hunt around the city is another must. Hot chocolate at Le Barbare is one of those national treasures where the ‘drink’ comes so thick and creamy that the spoon stands upright in luxurious goo. Nothing could be more Alpine than sitting outside, mittens on, watching the first snow of the season dance in front of you whilst indulging in hot chocolatey goodness. 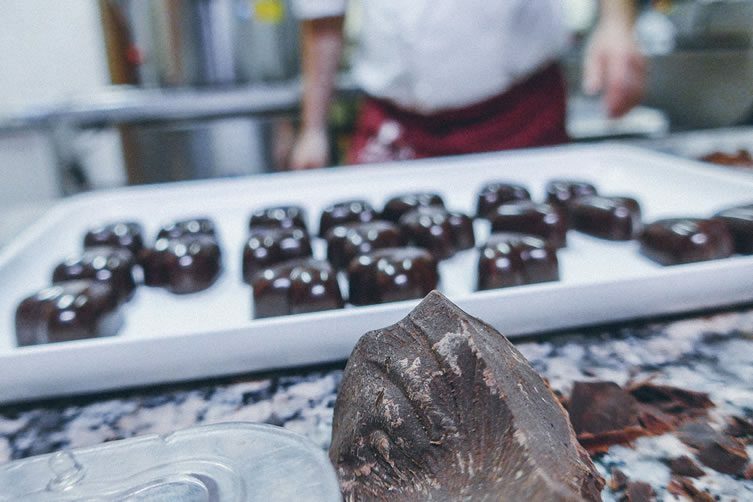 If, by any chance in hell that sounds a tad too rich for some, then a visit to chocolatier Durig should be on your edible Lausanne list. 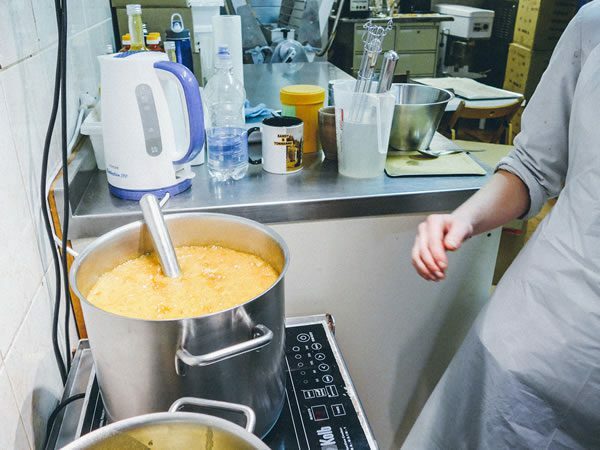 Founded by Mancunian/Swiss Dan Durig ,just over 17 years ago, they now have two shops in the city. 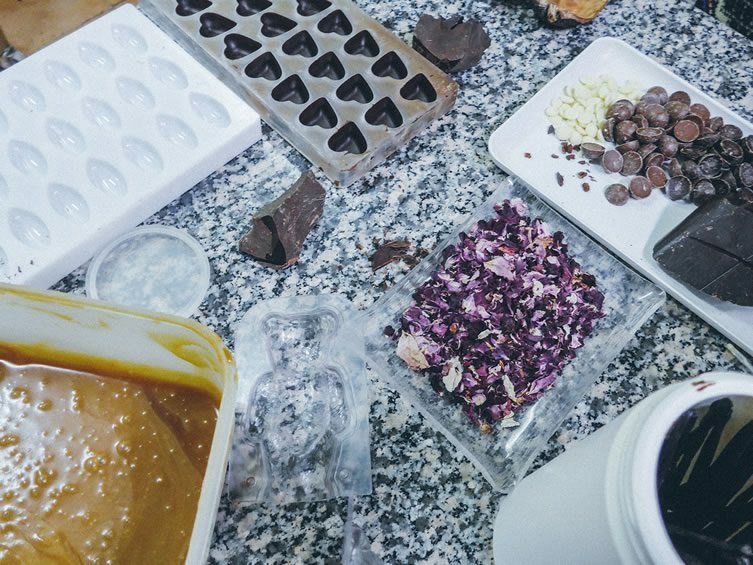 They offer weekly demos and workshops; and all the chocolate produced onsite is either organic or fair trade. I have no words to offer for how good it tastes. The more I wander, the more independent cafés, restaurants and eateries I discover. 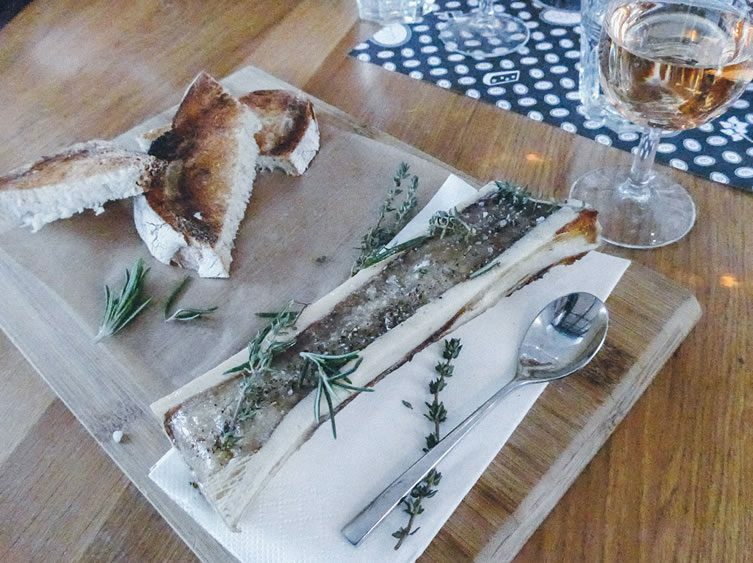 For the café or wine bar enthusiast, Café du Pont in the Centre-Ville district is a good spot. The second-floor bar serves small plates, and has a good biodynamic wine section. The interiors are old and wooden, and have probably been that way for some time. The cool kids love it; you can understand why. Another meal inseparable from the Swiss is its fondue. Café du Grütli is one of those ancient cafés (originally established 1849) to head to if you fancy melted cheese with cubed bread or, controversially, potatoes washed down with copious amounts of local wine. 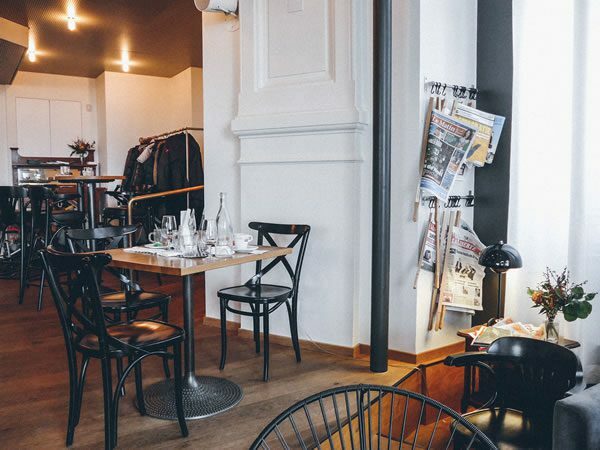 The family run restaurant is cosy, and also offers seasonal game and cured meats, should the fondue au fromage moitié moitié (half and half melted Vacherin and Gruyère cheeses with white wine and garlic) not appeal. 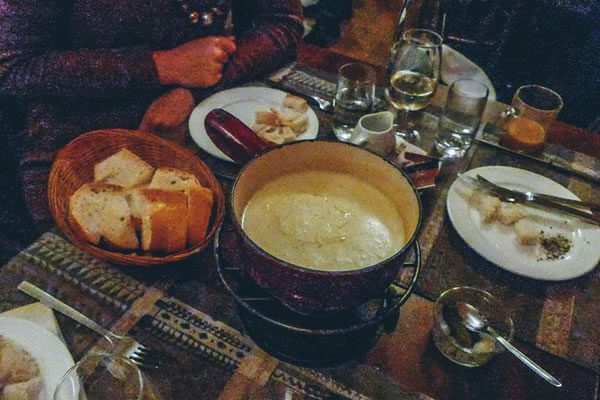 Top tip from a local here: never drink cold liquids with your fondue unless it has alcohol in it. Cold liquid and hot melted cheese do not mix. A tip worth keeping, and sharing, for fans of healthy guts. 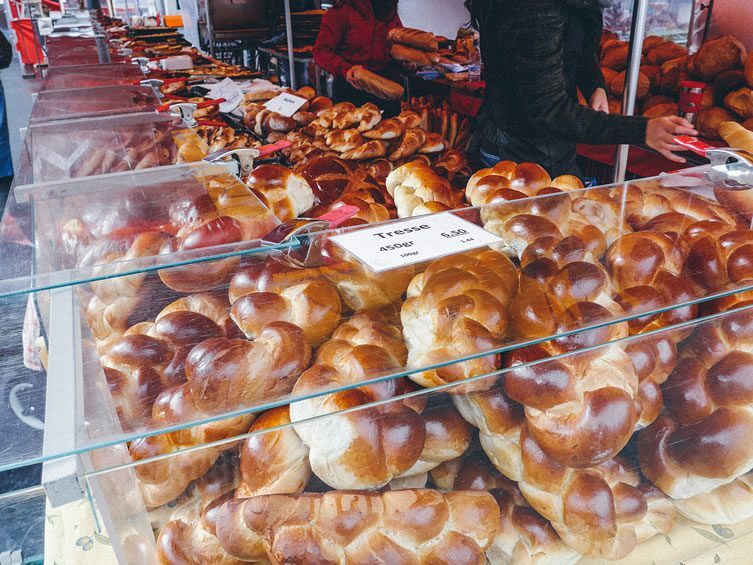 Lausanne does food well; in all aspects of sourcing, producing, preparing and championing locality. Stores like Globus are the ultimate in ‘designer’ culinary outlets — putting our Harrods food-hall and Whole Foods to shame. 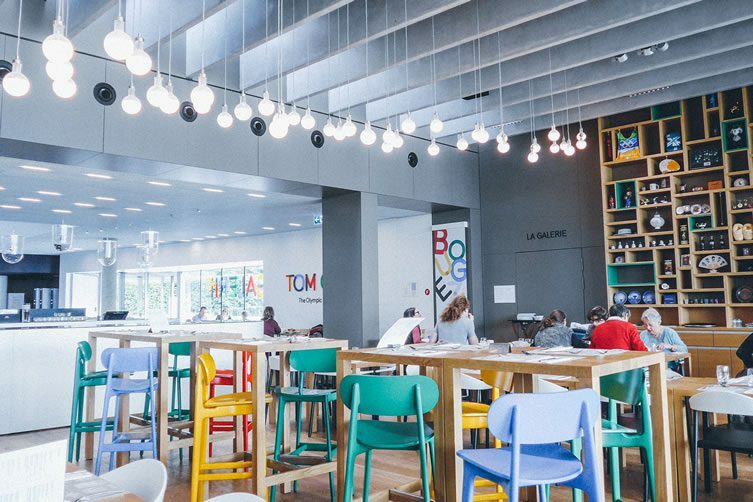 Around each corner you’ll stumble on hang-outs/cafés/galleries; like L’Atelier, TOM Café at the Olympic Museum, or Pinte Besson — an ancient cavernous institution. I guess the Lausannoise need all that good eating to combat the steep, hilly topography of the city. Or perhaps the views of the mountains beyond the lake keep their hearts healthy. Either way, as a visitor, I’d recommend elasticated waistbands and a toothpick when visiting Lausanne.